Congratulations to the Super Bowl champion New York Giants! I’m sure all of you Giants fans enjoyed the game and the celebration in the days that followed. Hopefully the team’s display of hard work and unity can give us all a little bit of inspiration. While the south end of Roosevelt Island prepares to become the host site of the new Cornell/Technion Applied Sciences Campus, the waters off the north end of the Island will soon be home to another kind of groundbreaking innovation. Last month the Federal Energy Regulatory Commission granted Verdant Power the first-ever 10-year license to create a tidal wave energy plant right here in the East River. Verdant launched a pilot version of the project in 2002, culminating with the delivery of electricity to Gristedes and Motorgate. The expanded field of underwater windmills, to be located in the waters north of the Roosevelt Island Bridge, is projected to supply electricity to more than 9,500 homes on the Island by 2015. Dubbed the Roosevelt Island Tidal Energy (RITE) project, it is another example of the Island a leader in innovation and green technology, not only for the city, but for the world as well. RIOC is excited to announce that a record 2,109,878 people rode our Tram in 2011, the first full year since the Tramway modernization project was completed. That’s over 5,700 riders per day! The new Tram system, which opened in November 2010, offers a quicker, smoother, safer ride, while simultaneously using less electricity – not to mention those breathtaking views of the Manhattan skyline. Also, you’ve probably noticed that it doesn’t shut down during inclement weather as frequently as the old Tram did. The new Tram has truly been an innovation in mass transit for residents and visitors alike, and will serve the Island well in the exciting – and busy – years ahead. If you were near the Tram between 10 am and 2 pm this past Wednesday, you may have noticed NYPD officers conducting exercises on one of the cars. They were part of routine training sessions that NYPD and FDNY periodically conduct on the Tram to test their equipment. These sessions take place only during off-peak hours and use only one car, so that regular ridership on the other car is unaffected. RIOC always distributes an advisory via email before each training sessions to let residents know when they will occur. To subscribe and receive our advisories, you can send an email to subscribe@rioc.com. Last week RIOC received word that the iOS RBT Red Bus Tracking App wasn’t functioning properly. This is a good opportunity to explain how riders can use their mobile devices to track buses’ progress, for those who aren’t aware. A service called NextBus tracks RIOC’s Red Buses, which are equipped with a GPS system. 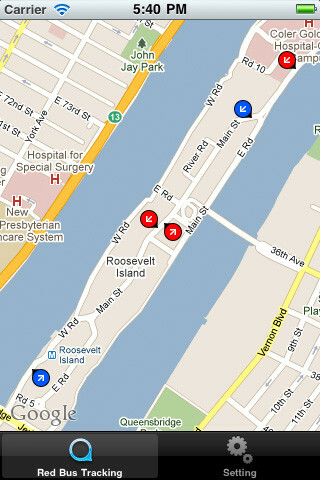 Riders can see the location of each bus on www.nextbus.com, and by accessing the aforementioned RBT App or the R.I. Bus Tracker App for Android devices. You can plan your trip by checking the next arrival times at the stop closest to you. When the RBT App stopped working last week, RIOC discovered that NextBus was still showing the location of all the buses, and thus the problem was with the app, not the GPS. At the risk of getting too technical, it turns out that the app required an update in order to continue communicating with NextBus’ GPS. As of the evening of February 2, the RBT App was back up and running. We hope you will take advantage of this technology to make your travel as smooth as possible. I encourage seniors and their grandchildren to come out to our annual Grandparents Safety Day on Thursday, February 23 at the Roosevelt Island Senior Center (546 Main Street), starting at 11 am. Co-sponsored by RIOC’s Public Safety Department and Safe Kids NYC, the event will feature safety tips, goodie bags and light refreshments. It’s part of the Public Safety Department’s on-going efforts to keep citizens young and old safe. Please join us on Saturday February 25 at the Senior Center as we celebrate the achievements and contributions of African Americans throughout history with music, poetry and dance. Festivities begin at 2 pm and light refreshments will be served. RIOC is proud to partner with the Roosevelt Island Senior Association to bring you this fun event. With weather forecasts calling for a winter storm to hit the area this weekend, all MTA Agencies have begun storm preparations to ensure safe travel across the region, readying the materials, equipment and personnel that will need to be deployed when the storm advances. 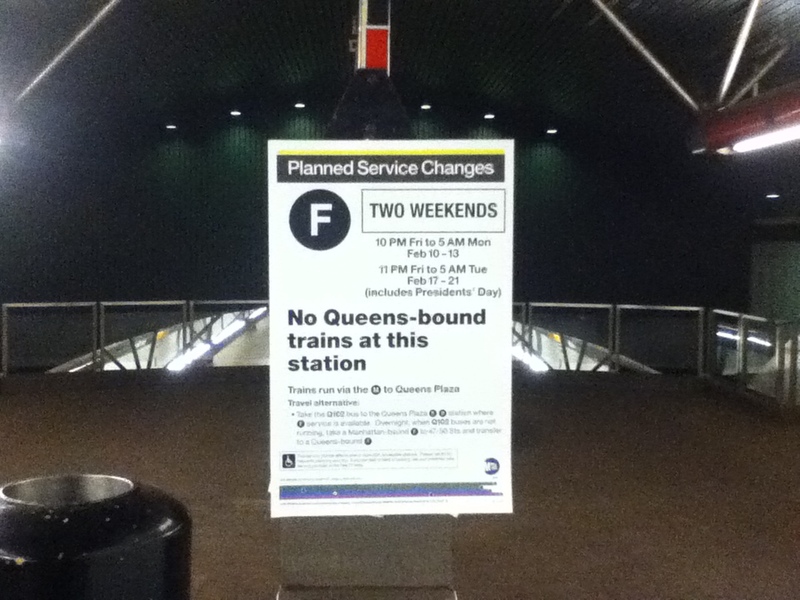 We expect to run normal service, but please monitor mta.info for the latest service updates. 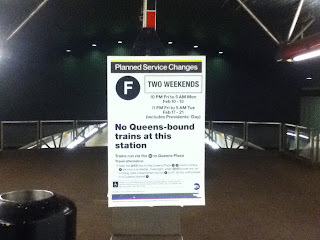 All NYC Transit planned service changes, with the exception of the line diversions are cancelled. All long-term station closures remain in effect. Are you a Wall Street Master of the Universe, independent day trader or just interested in making better decisions to manage your own money. 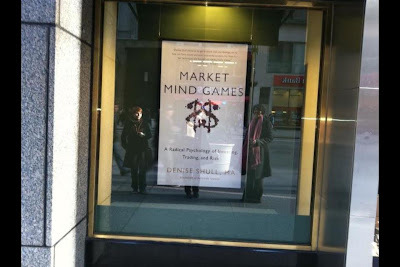 If that's the case, you may be interested in a new book written by Roosevelt Island resident and founder of The ReThink Group Denise Shull - Market Mind Games: A Radical New Psychology of Investing, Trading and Risk. 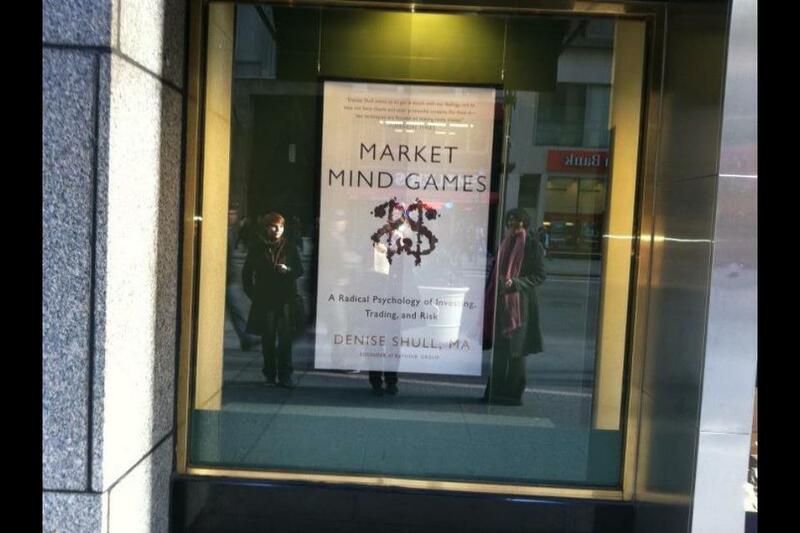 ... Market Mind Games reads more like a mystery romance novel than a psychological dissertation. It is must-reading for anyone who intends to do more than just invest a regular amount monthly into a diversified 40l(k) portfolio. That’s not to say that a regular dollar investment is a bad idea. In fact, for most people, who have neither the time nor the self-discipline to read this book, a long-term monthly investment plan is truly a better solution. 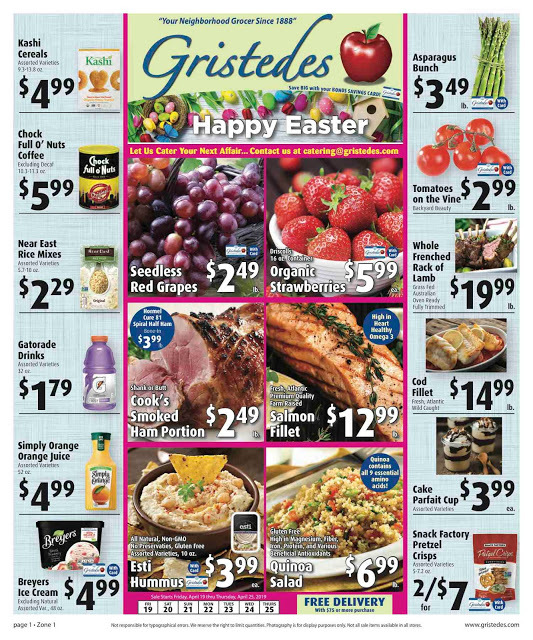 crudité, two unusual dips, chocolate coconut almonds, chardonnay and pinot grigio. A small number of books will be for sale. You can buy Ms. Shull's Market Games at Amazon or Barnes & Nobles and here's an interview with Ms. Shull about her book. Denise Shull's another interesting Roosevelt Island resident. I watched an excellent Wall Street movie about the collapse of an investment bank's mortgage backed securities holdings last night - Margin Call (trailer) with Kevin Spacey and Jeremy Irons. 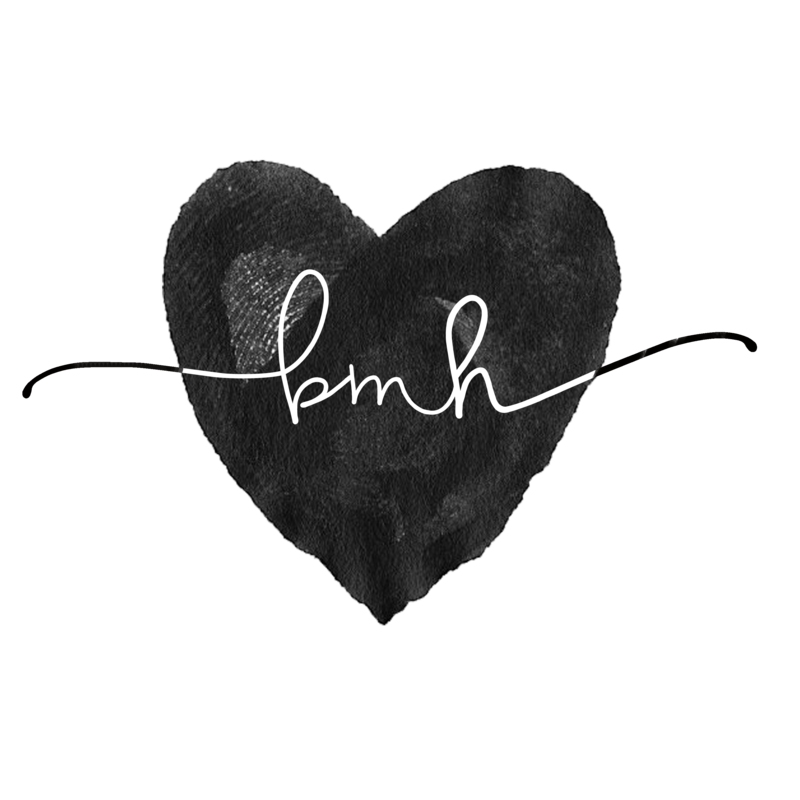 I highly recommend it for people who like this kind of stuff. Here's a review. 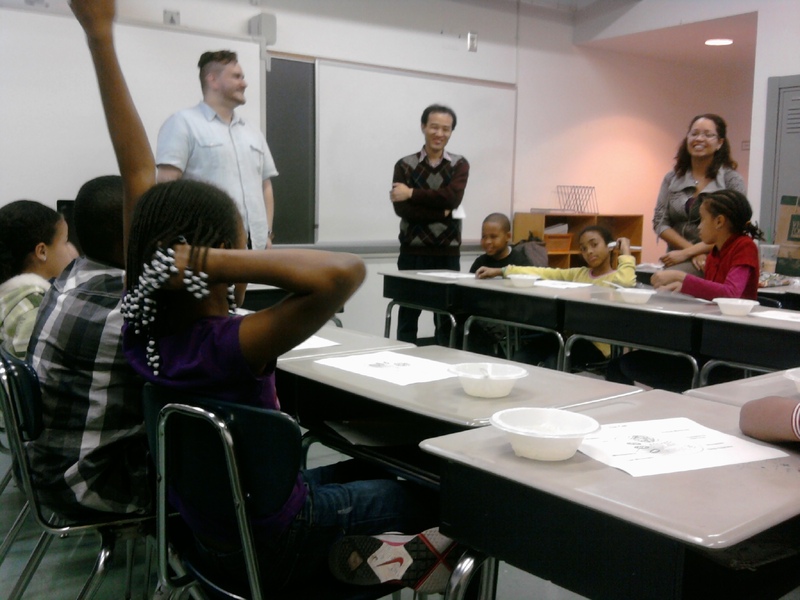 Beacons are school-based community centers serving children, youth, and adults. 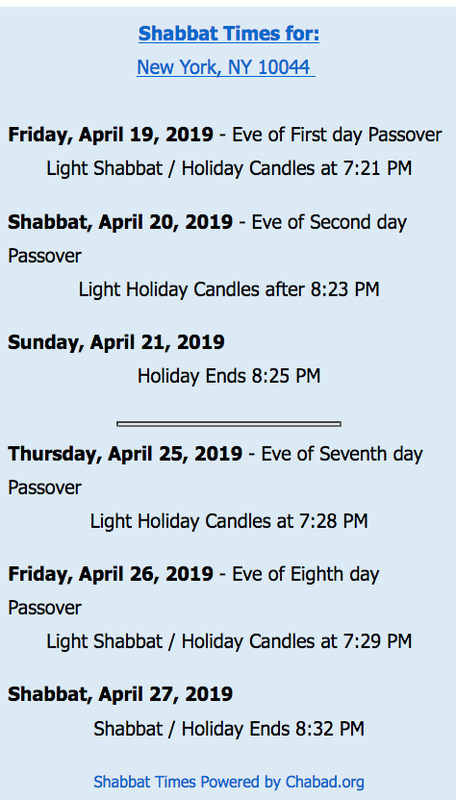 There are currently 80 Beacons located throughout New York City, operating in the afternoons and evenings, on weekends, during school holidays and vacation periods, and during the summer. More than half-a-dozen city centers that offer free after-school, GED and immigration services are on the chopping block — and half of the ones most at risk are in Queens. The city plans to cut funding for seven Beacon programs by July 1 and that’s causing panic among parents and advocates. No announcements have been made on which of the 80 city centers, based in public schools, are to be shuttered. 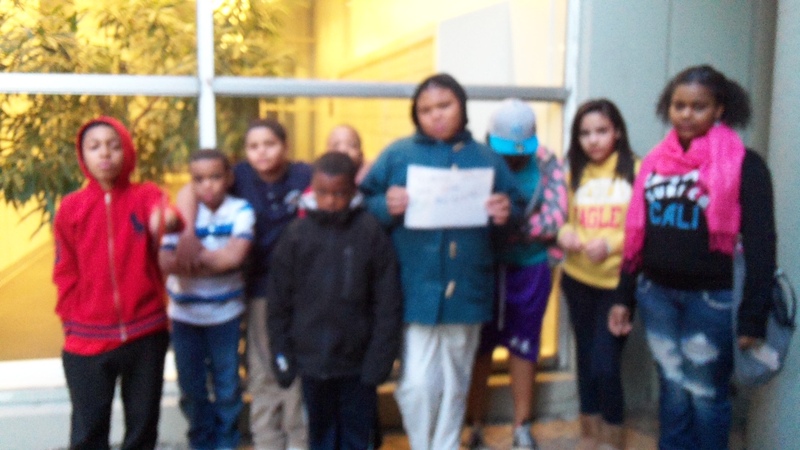 “It’s going to be a huge loss,” said Gigi Li, co-director of the Neighborhood Family Services Coalition, which opposes the cuts. Programs offered by the Roosevelt Island Beacon in danger of being lost include math and science mentoring, English as a second language, basketball and martial arts among others. NY 1 has more on the possible closing of some NYC after school Beacon program closings. Fantastic Bird's Eye View Riding Roosevelt Island Tram Over East River To Manhattan But When Will Tram Station Bathrooms Be Fixed? This may be the best way to experience riding the Roosevelt Island Tram over the East River on way to the Manhattan Second Avenue Tram Station without actually being on it. Here's a birds eye view of a Roosevelt Island Tram Trip. Roosevelt Island Tramway sekund for sekund from Anders Eriksson on Vimeo. The view and trip on the Tram is terrific but residents, tourists and Tram workers would like to have the bathrooms at the Roosevelt Island Tram station open again. 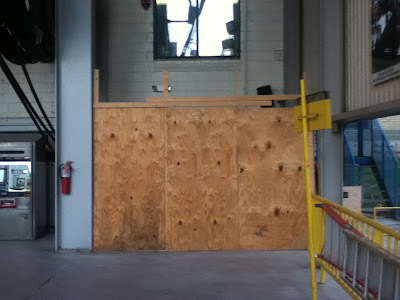 During the January 19, 2012 Roosevelt Island Operating Corp (RIOC) Board of Directors meeting, Vice President of Operations Fernando Martinez explained that the contractor doing the bathroom renovation was replaced (same contractor that did the Good Shepherd Plaza Restoration) and RIOC would perform the renovation internally together with the same contractor handling the Tram Station Renovation. Mr. Martinez expressed hope that one bathroom would be open by the end of January and the other by mid-February. As of today, the Tram Station bathrooms are still closed. Here's full explanation from Mr. Martinez. During February 1 Roosevelt Island Residents Association (RIRA) meeting, Public Safety Committee Chair Erin Feeley-Nahem discussed late night Friday and Saturday recreational program for young adults (16 -24) at Sportspark and proposal for establishing a future young adults mentoring program with the assistance of Roosevelt Island Operating Corp (RIOC). If proposal is approved by RIOC, she hopes to get residents and local businesses involved in providing job skill lessons and internships as part of the mentoring program. Here's what Ms. Feeley-Nahem had to say at the February RIRA meeting. You Tube Video of RIRA Mentoring Program Discussion. Last Friday night I stopped by the the late night Sportspark weekend recreational program. At 10:30 PM there were about 20 -25 young adults shooting baskets and playing in a refereed game. As reported earlier today. 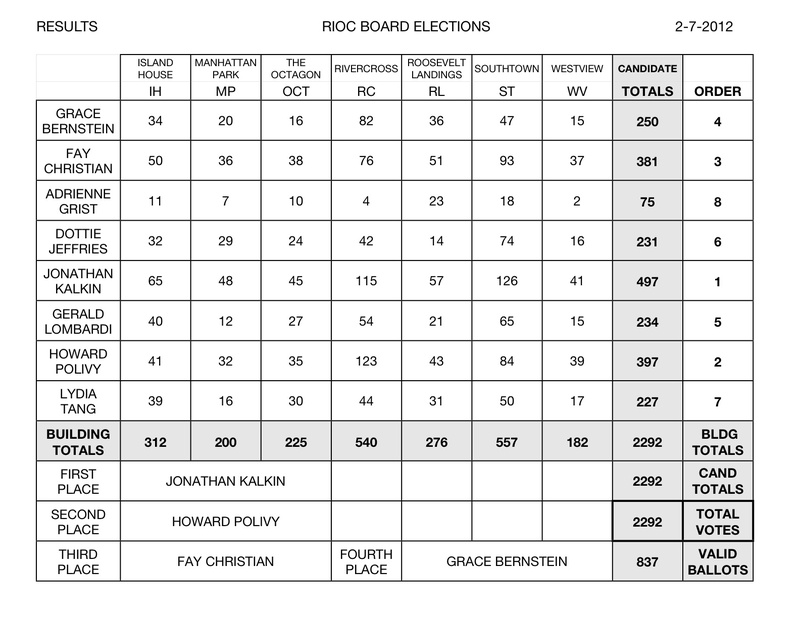 Roosevelt Island residents Jonathan Kalkin, Howard Polivy and Fay Christian were the three top vote getters in the February 7 RIOC Board of Director Nominee election. I received the following statements from the winning candidates. 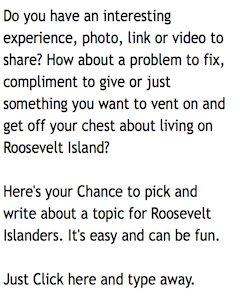 Roosevelt Island has proven again it can take on any challenge. I want to thank everyone who came out to support our democracy. I'm eager to get back to work and I'm excited to help Roosevelt Island reach its potential as a place that not only leads the city, but the country as a center of reform and innovation. I want to thank all the Island residents for coming out to vote and showing the Governor we care about our Island. I hope this vote will lead to my reappointment so I can continue to serve on the Roosevelt Island Operation Corporation Board of Directors. I extend my congratulations to Jonathan and Howard and I thank all the other candidates for their participation. “I want to offer my congratulations to Jonathan Kalkin, Howard Polivy and Fay Christian for winning Tuesday’s election. All three individuals have a wealth of knowledge and experience when it comes to serving Roosevelt Island and will continue to make real contributions to the community. I will do all I can to ensure that they are reappointed by Governor Cuomo. The ball is now in Governor Cuomo's court. We shall see if Governor Cuomo will respect Roosevelt Island democracy and appoint Mr. Kalkin to one of the three expired RIOC Board Director seats and reappoint Mr. Polivy and Ms. Christian to the RIOC Board seats they currently occupy. First off, congrats to the winners. Now that the voters have spoken, I hope Governor Cuomo will respect their will in making his appointments. Pediatrics practice on Roosevelt Island (New York, NY) is looking for an Associate Pediatrician who will take over the practice in the next few years. There is flexibility with the possibility of starting off immediately in a part-time role. There are opportunities for growth in this predominately international community. This practice provides holistic and comprehensive care to the children of Roosevelt Island and surrounding communities and has transitioned to a completely electronic medical records system. Please email your resume. Fast pace management office seeks person familiar with real estate management to work in our legal department handling disposes, evictions, holdovers and court ordered repairs. Applicant should have knowledge of housing court system, section 8 regulations and excellent computer skills. Candidate must be highly organized and have exceptional skills for detail and follow up. Prior property management office or legal experience required. Click here for more information on the pediatrician job and here for the legal assistant job. Total number of ballots cast was 837 which is more than the 766 votes cast in the 2009 RIOC Board Nominee election. Congratulations to the winners, appreciation to all the candidates and a great big thanks to the organizers of the election. UPDATE 1:15 AM - Here is chart showing total votes and votes by buildings. and will continue through 9 PM tonight. If you have not voted yet, please do so and urge your friends and neighbors to do the same. 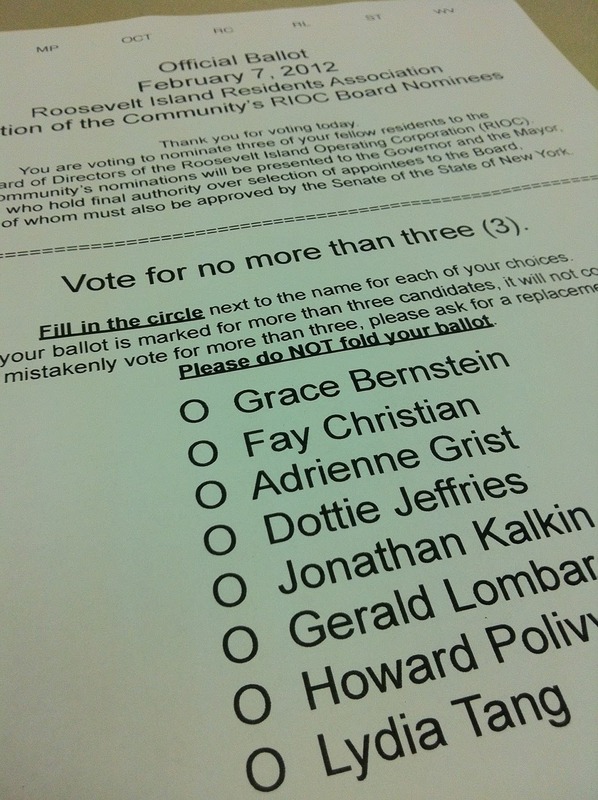 This is what the election ballot looks like. 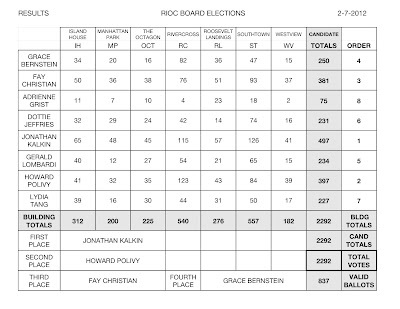 There are three expired seats on the RIOC Board held by Howard Polivy, Fay Christian and David Kraut. Mr. Polivy and Ms. Christian are seeking the support of the Roosevelt Island community to retain their seat through this election process. Mr. Kraut has chosen not to participate in today's election process or in the previous RIOC Board Nominee elections. 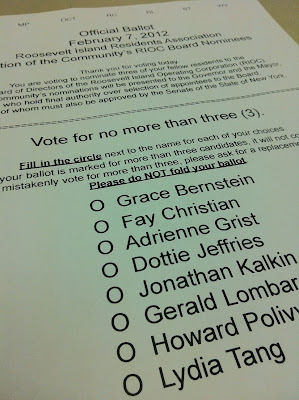 I am voting for Jonathan Kalkin, Howard Polivy and Fay Christian. 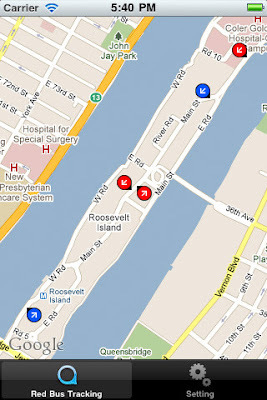 Former RIOC Director Jonathan Kalkin brings fresh, innovative ideas to Roosevelt Island such as his initiative for the Main Street Retail Master Leaseholder, technology initiatives including the RI 311 See Click Fix Reporting System and Next Bus GPS Red Bus Tracking system as well as a business background to effectively monitor and supervise the RIOC staff. These initiatives would not have happened without Mr. Kalkin's presence on the RIOC Board. Howard Polivy's financial background is a strong asset to have on the RIOC Board as is his experience and ability to oversee the RIOC staff. Fay Christian has shown an ability to challenge RIOC staff to justify the decisions they are taking which is an important function of a RIOC Director. My one hesitation in voting for Ms. Christian is that she is a resident of the Rivercross Building which is overly represented on the RIOC Board. Mr. Polivy is also a Rivercross resident and Mr. Kalkin a resident of Southtown. Grace Bernstein, Dottie Jeffries, Lydia Tang and Gerald Lombardi are all fine RIOC Board Nominee candidates with excellent skill sets and should be thanked for their willingness to serve the Roosevelt Island community. 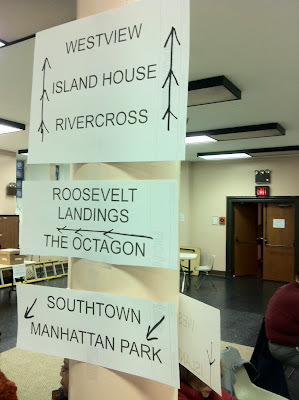 However, in my opinion, Mr. Kalkin, Mr. Polivy and Ms. Christian have greater experience and understanding of the important issues facing Roosevelt Island now and in the future and should be on the RIOC Board. Here's where you vote. OCTAGON residents vote from 6am-10am and 5pm-9pm in their building, 10am-5pm at the Good Shepherd Community Center (next to The Trellis diner), and SOUTHTOWN residents vote the same set of hours (6-10am/5-9pm) at #455 Main St. and then, at GS Community Center 10am-5pm. 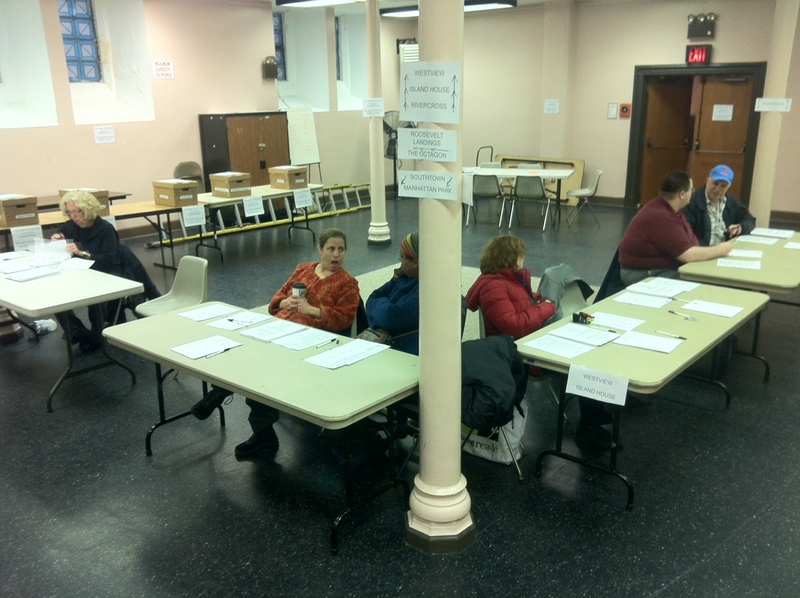 All NORTHTOWN residents will vote ALL day at the Good Shepherd Community Center. 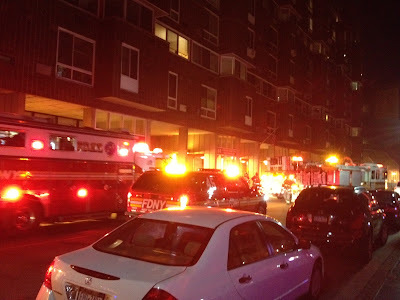 FDNY is investigating a smoke condition, traffic on Main street is backed up. PSD is assisting with traffic. Traffic is normal on Main St. 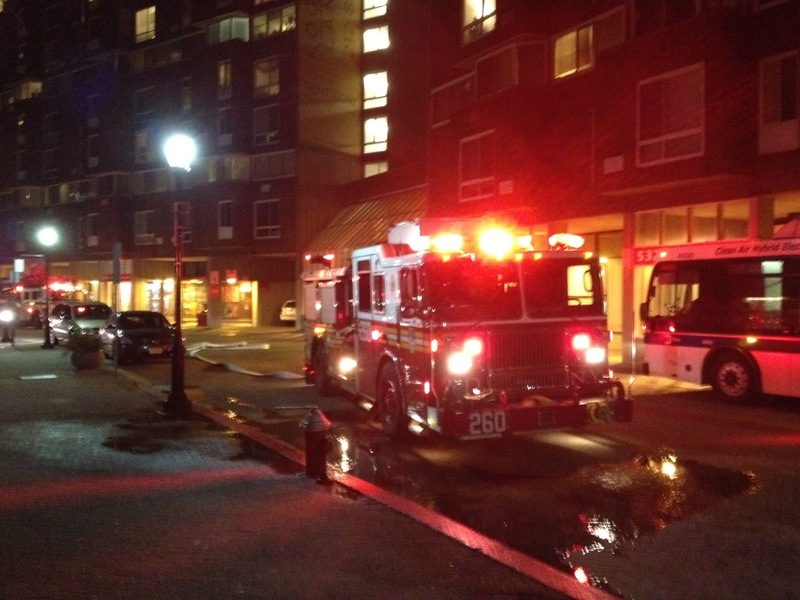 Smoke Condition - At 546 Main Street. UA and FDNY responded. Condition corrected. I asked RIOC for the cause of last night's smoke condition that backed up Main Street traffic. Will update when and if a response is received. PSD was unable to substantiate the cause of the smoke, but did find burnt paper in the stairwell of 546 Main St., which could have caused the smoke. Apartments were checked by PSD and FDNY. No injuries were reported. Cornell plans to add between one and three international universities as partners to its recently approved New York City tech campus over the next five years, Provost Kent Fuchs said in an interview Friday. Fuchs said the University hopes to attract at least one university from Europe and as many as two from Asia to bolster the international prestige of the new NYC “global institute,” which already includes the Technion – Israel Institute of Technology. ... Although Cornell had not discussed adding international partners during the heated competition for the campus or at a public forum held Friday, Fuchs said the University and the Technion had always planned on doing so. He cited not wanting to “be flooded with other applications” as a reason for delaying the public search for the new partners. Ah, we see. It’s just that no one bothered to ask the right questions. Makes you wonder, what else should we be asking Cornell . . .
and Cornell President David Skorton discusses the Roosevelt Island project during a January 28, 2012 speech in front of Cornell alumni. Mr. Skorton's entire speech is here. Also, Mayor Bloomberg recently responded to a tweet asking about new industries that will come from the Cornell Technion Roosevelt Island campus. Interesting times coming to Roosevelt Island. Last month, in a computer lab at Baruch College in Manhattan, a group of high school students became teachers for a morning. Their pupils were adults hungry to learn about Gmail, YouTube, Twitter and Facebook. ... Mohamed, who lives on Roosevelt Island, was a volunteer, along with other members of the National Honor Society at his school, in a workshop called Closing the Technology Gap. It was organized in part by the Community Service Society of New York, one of the seven agencies supported by The New York Times Neediest Cases Fund. The Roosevelt Island Public Library is also providing a free introduction to email on Friday, February 10 and introduction to Microsoft Word on Friday, February 17.